I hope you all are having a great weekend. 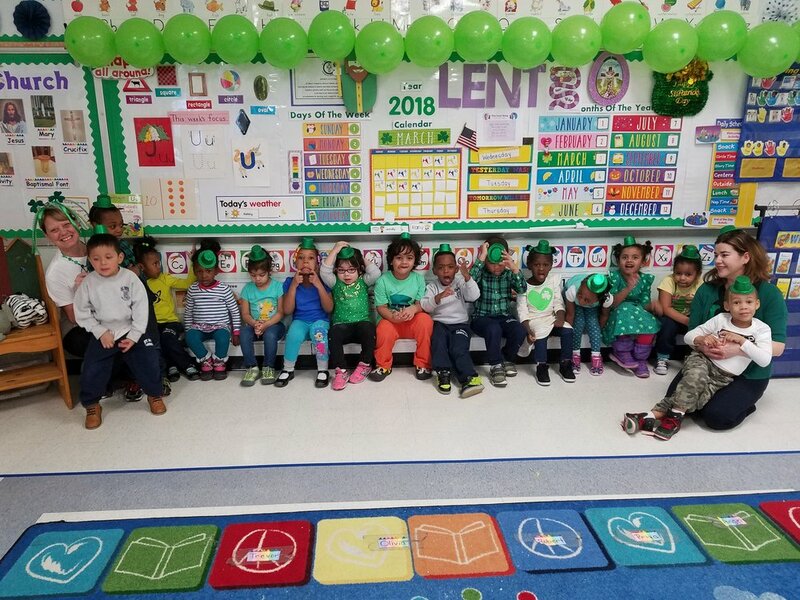 Last week we had fun learning about St. Patrick and the Holy Trinity. We watched a story about St. Patrick and how he taught the people of Ireland about Christianity. 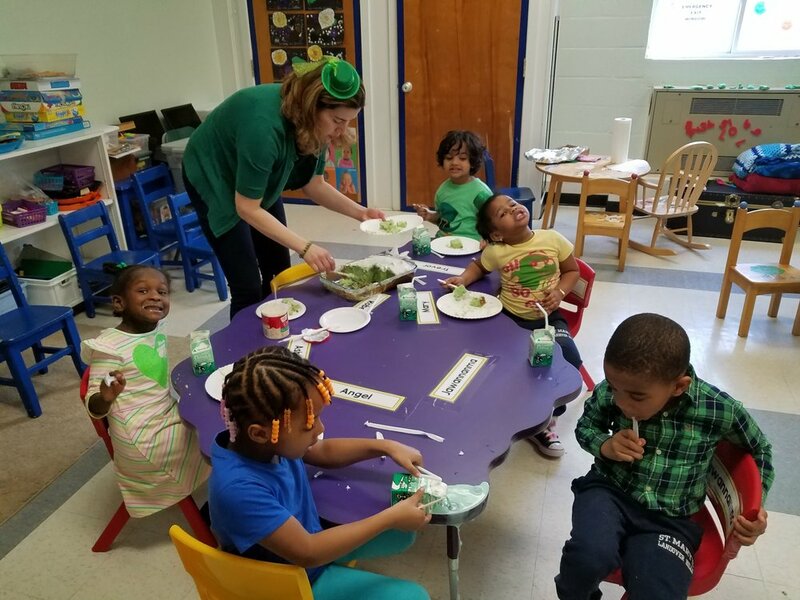 The children learned that the Shamrock represents the Father, the Son, and the Holy Spirit. 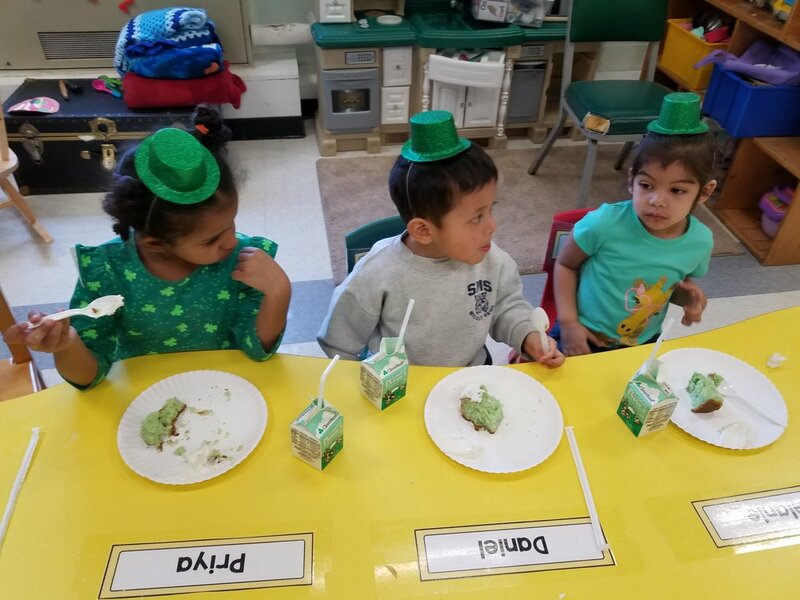 We also celebrated St. Patrick's Day by wearing green and enjoying green cake. 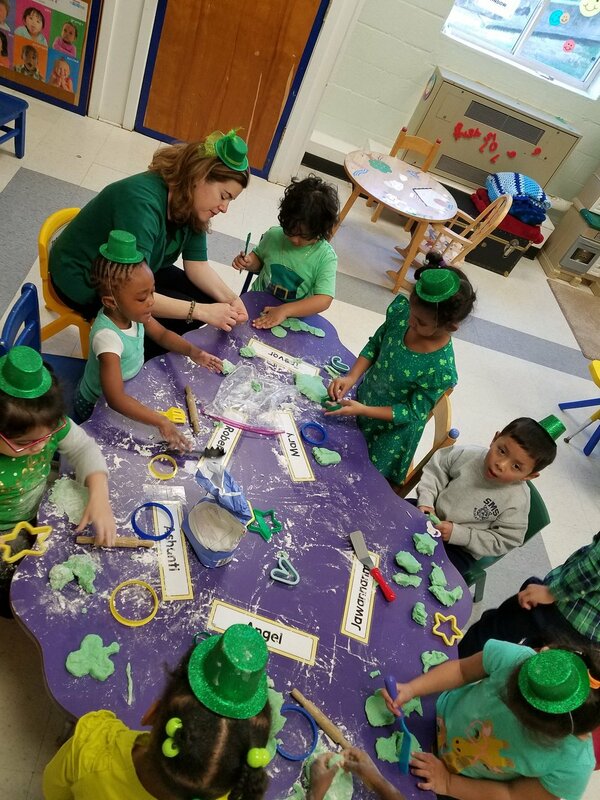 The children were surprised to learn that when I made the cake it was white, but when I served it to them the Leprechauns had turned it green. They also turned our milk green. How did that happen? This week we will begin our unit on Community Helpers. We will discover what community helpers are and learn who is a community helper in our school. If any one would like to come in and talk to the children about how they are a community helper please let me know. The children love to have visitors. We will continue to learn about Easter and the Resurrection of Jesus.